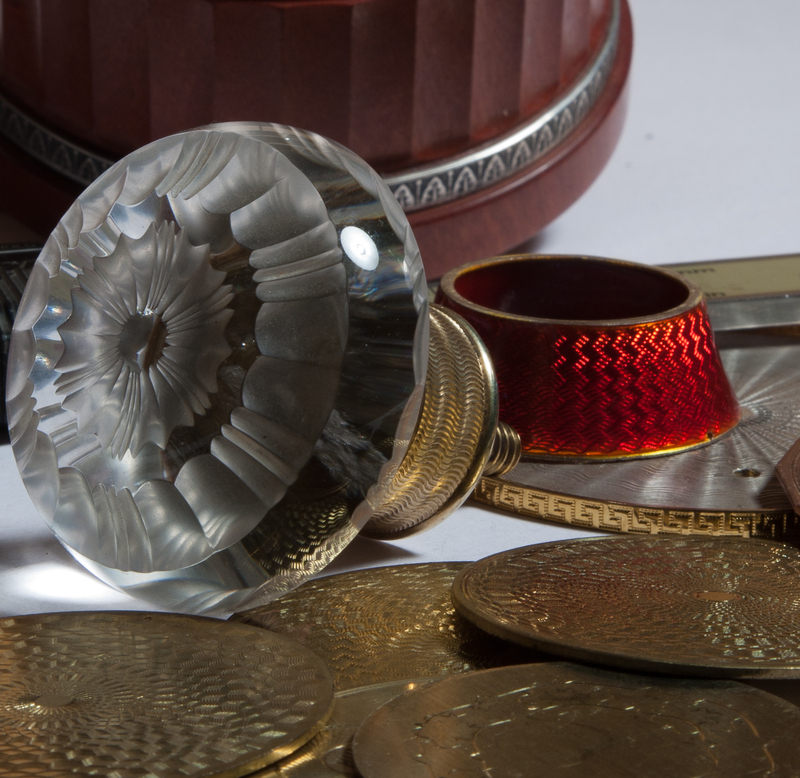 Engine turning and guilloche engraving have been practiced since the 17th century and are still being practiced today. These machines which are used to turn wood, stone, and metal and to engrave are becoming rarer and rarer as time passes and most that come to market are not generally in the excellent operating condition required for detailed work. This blog is meant to both inform those interested in these machines, their restoration, and their use as well as to invite comments and advice from experienced users. Can’t wait to see more, Thanks. Check out this old 1980s CBC film that has just been put up on YouTube, it shows the engine turner Gerald Mayo (who did most of my work) working on his straight Line Plant machine, in one scene he is cutting a pattern on a gold Cartier handbag and in another scene he is marking out a trellis pattern on an egg. The film also shows a few workshops from those days. Gerald Mayo was my grandfather and unfortunately he passed in October 2015. Do you have a copy of this video that you could send me or could you tell me what it is titled on YouTube? Grandad was a very modest individual and never really told the full extent of the work he dissolved would be a great memory of him and to document what he did. I am so sorry for your loss. Your grandfather was a true Master at this art. I wrote him in the autumn of 2014 but did not receive a reply. I believe he was around 83 years old at that time. Your grandfather was the pupil of another Master, Jules Kneuss, who worked for Wright and Davies and whose commissions for Peter Wilding are among those at the Cartier Collection in the British Museum. The video is on YouTube and here is the link: https://www.youtube.com/watch?v=hdn3T3b1vkQ&feature=youtu.be I will email you directly with a little more information that may be of interest. Hi, I have just googled my Great Grandfathers name and your blog mentions him! He was Jules Kneuss. I know of his work on display at the British Museum but wondered if you know anything else of him that you could share with me and my family. Hello Siobhan! Sadly, I know nothing more about your great grandfather other than you see herein. However, you might seek out Mr.Steven Keen at this address: http://www.engineturning.co.uk/. He knew Gerald Mayo who was a pupil of your great grandfather. I hope this will help! Thank you so much. Look for more content soon.